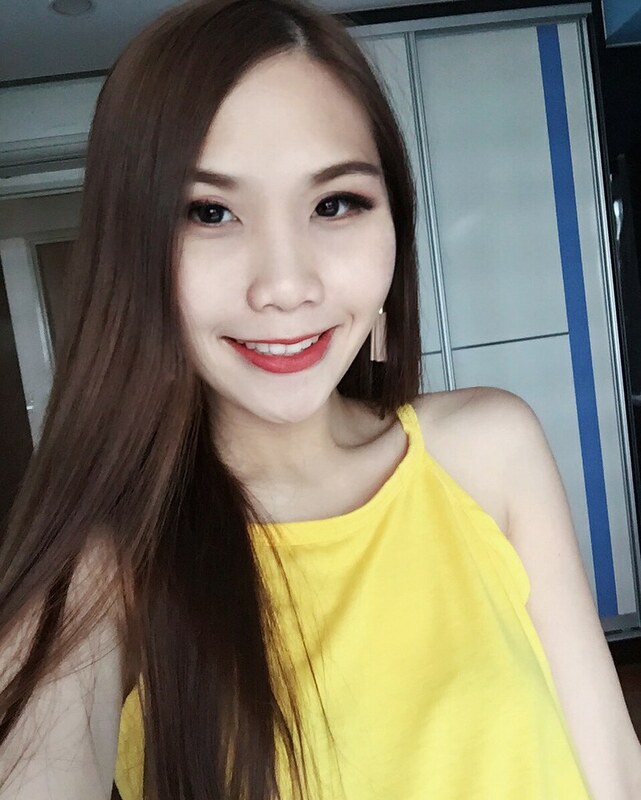 Remember the dinner date I mentioned in the outfit entry previously? 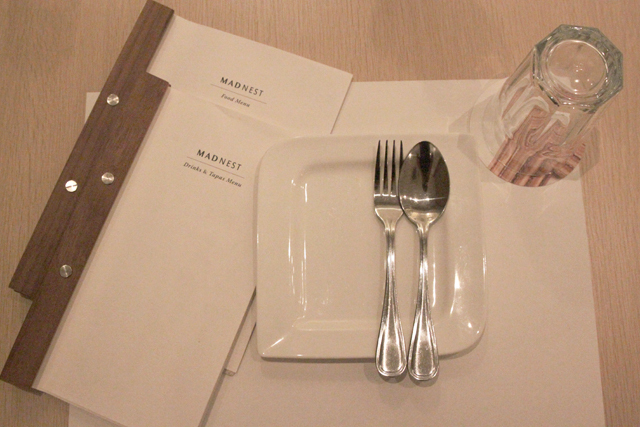 We were planning to have dinner at a little cafe but the kitchen had closed so we settled for Mad Nest, that was along the same street. 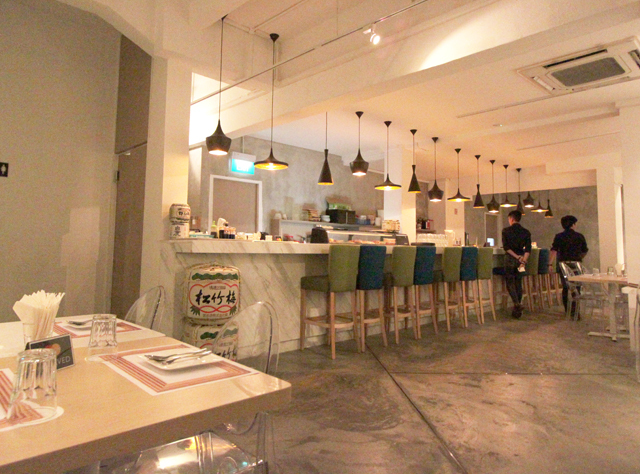 It is a fairly new restaurant, opened only in the third-quarter of 2012. I was attracted by the interior. It was white, spacious and very modern. There was an art exhibition going on too. Various types of cuisine are available at this restaurant! I went for Japanese and had the ramen and chawanmushi. 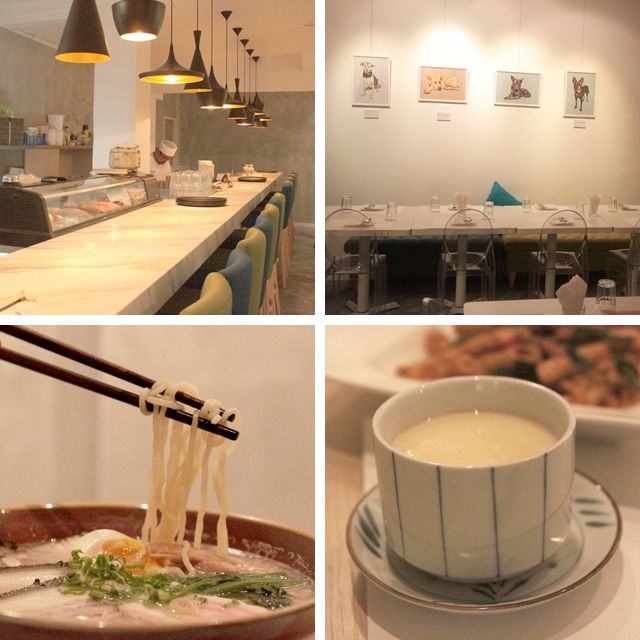 The ramen is not bad, but you can give the chawanmushi a miss. 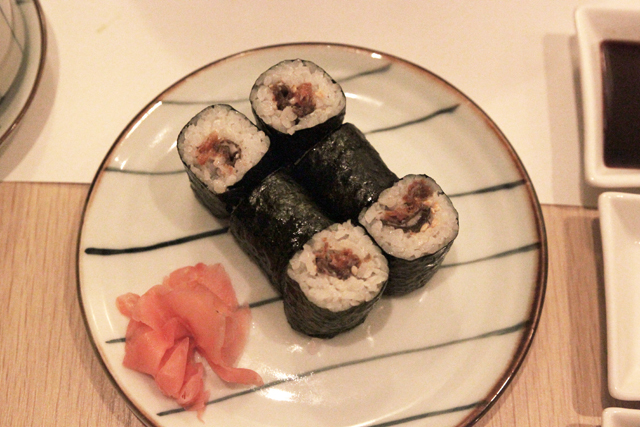 I liked the salmon skin maki quite a lot! The crunchiness and taste of the deep fried salmon skin was good. 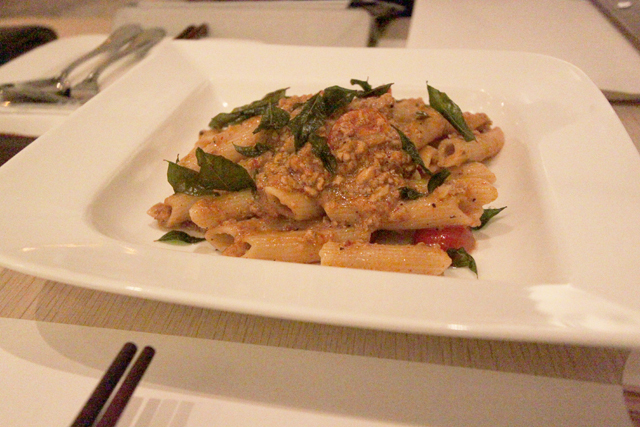 I liked Bf's pasta, which had some local, spicy twist to it.